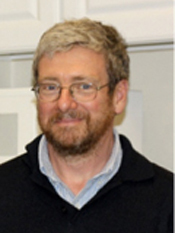 Brian McIntyre has been associated with the University of Rochester/Institute of Optics for over 26 years. His initial position was in management of a new SEM facility serving the needs of the College of Engineering with an emphasis in optics. Before joining the Institute he managed the applications laboratory at the Instruments and Systems Division of Bausch and Lomb in East Rochester. There he specialized in the training and use of high end image analysis systems for both light and electron optical systems. Prior to that he work for Baxter-Travenol Laboratories, a major pharmaceutical manufacturer in Chicago, as a research associate in the area of small particle monitoring and detection using microscope techniques as well as light scattering techniques. Mr. McIntyre holds a master’s degree in chemistry from the State University of New York School of Environmental Science and Forestry as well as a bachelor’s degree in environmental chemistry from Syracuse University and SUNY. He has been teaching formal classes in electron microscopy and high resolution imaging at the University of Rochester since 2004. Mr. McIntyre has a number of journal articles and presentations in the areas of microscope techniques, microscopy education, and small particle analysis. He currently manages the operations of the University of Rochester Nanosystems Center (URnano) which includes areas for metrology and cleanroom fabrication.